Jujube tea, a healthy tisane is made from fresh dried jujube fruits (popularly known as Hongzao or Chinese date, Korean date, Red date and Indian date) and is enriched with vitamins, essential minerals and amino acid. 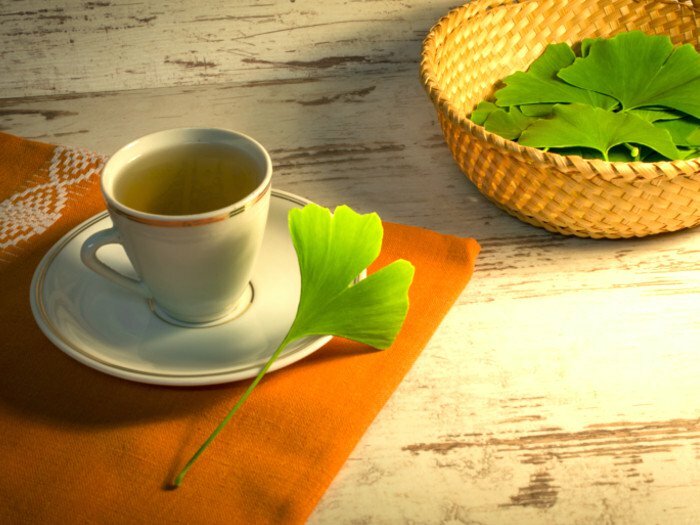 Due to its healing properties, it has been medicinally used in ancient China and Korea, for over four thousand years, as a caffeine free herbal decoction for maintaining hormonal balance, reducing bowel troubles and anxiety problems. Research conducted by the faculty of South China University and Technology shows that Jujube tea restricts the discharge of neurotransmitters or the monoaminergic activities which are responsible for sleeping disorder. 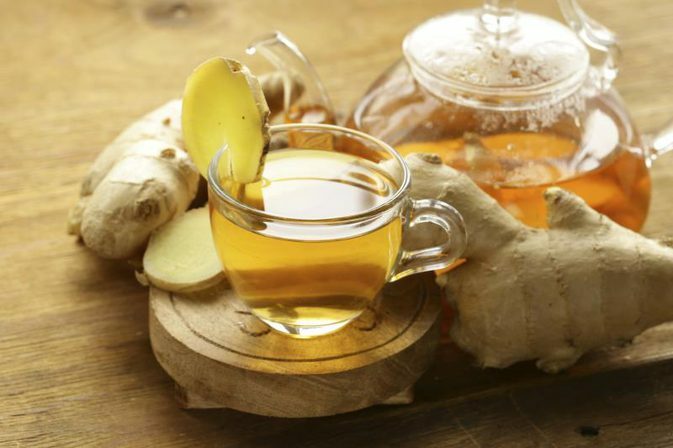 The tea also contains mineral like magnesium, flavonoids like swertish and spinosin and compounds like saponin all of which have an anxiolytic impact and sedative properties making it a potential solution for insomnia. 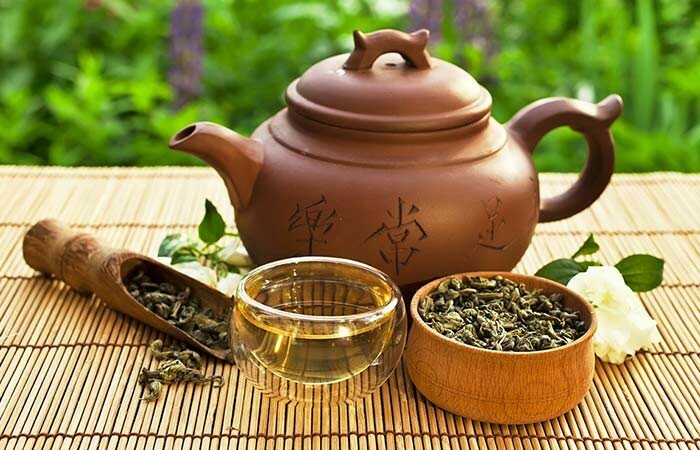 Several studies by National Chung Hsing and National Taiwan Universities depicts that this herbal infusion aids in preventing gallstones also improving several bowel problems like cramps, indigestion, constipation and flatulence by utilizing the nutrients from the foods properly. The constituents like triterpenoids, saponins as well as its fiber content act as laxatives for improving the digestive system. The antioxidant properties of jujube tea provide a solution to the oxidative damage (as caused by free radicals) of the liver. It also has a water soluble antioxidant like vitamin C that induces white blood cell production which shields against free radicals. 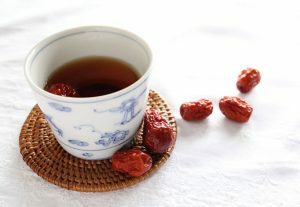 Jujube tea with goji berries or wolfberries is a good option for strengthening the immunity of your body. Jujube tea has enzyme bromaline that works towards preventing the build up of phlegm and mucus in the respiratory tract and sinus cavities. A cup of jujube tea on a daily basis might herefore be beneficial in minimizing chances of ailments in the respiratory tract. There is a possibility that jujube tea that contains antioxidants and glycosides like saponins work as anti-carcinogenic agents combating cancer-causing free radicals. It is believed to avert the growth of leukemic cells. Though more research is needed to validate the same. 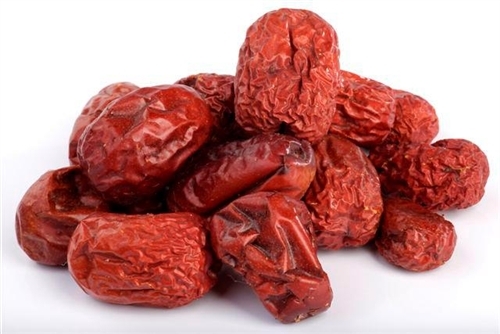 Jujube tea with its phosphorus, iron, and calcium aids in averting bone degradation and diseases like osteoporosis. Apart from being an energy booster, it is also conducive to the growth of collagen that is known to help in the building process of the muscle as well. Since high blood pressure is often associated with cardiac diseases, the potassium content of the jujube tea helps balance the blood pressure level by lowering the sodium in the blood, in turn helping to maintain a healthy heart. Also, it is good for maintaining the cholesterol which helps you stay away from cardiovascular diseases. Compounds like triterpenoids and alkaloids eradicate the detrimental toxins from the body and clean the blood vessels. It is considered to be good for anemia sufferers as its iron and phosphorous content helps to boost the red blood cells. 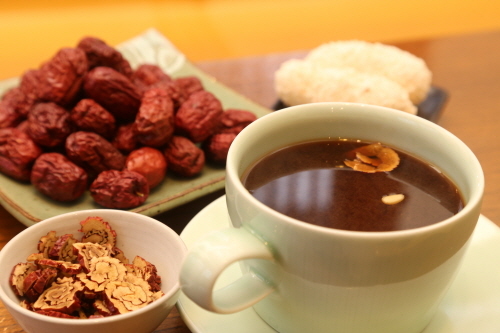 During menstrual cycles, intake of jujube tea can help prevent heavy bleeding. 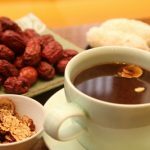 Boiling jujube and angelica roots in water is considered to be a good option for getting relief from menopausal problems. Boil water and add a handful of dried Jujube fruits to it. Strain the extract with or without the fruits. Add honey or brown sugar for sweetening. 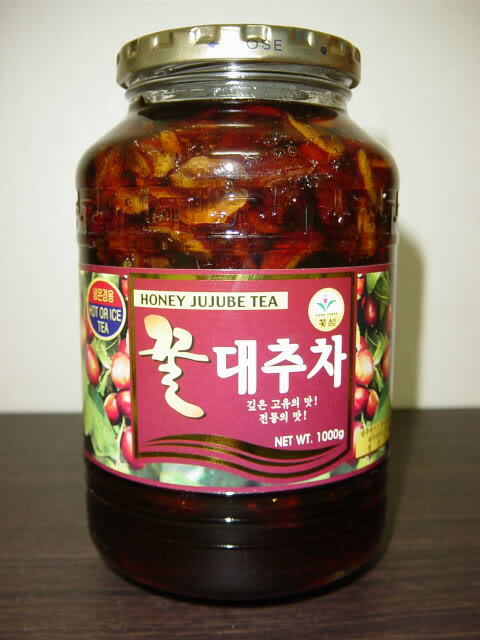 Though jujube tea is not known to have any side effects, overconsumption may result in vomiting and diarrhea. Diabetics should also consult a doctor before consuming this as it may lessen their blood sugar level further if consumed excessively. There are some contradictions about the effect of jujube tea on the pregnant and nursing mothers. 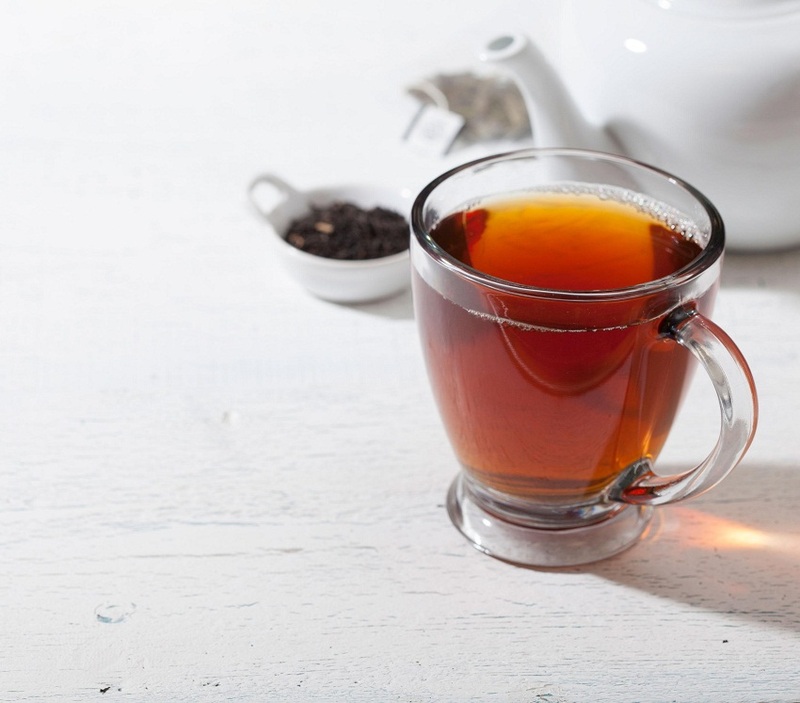 In earlier ages, expectant mother used to consume this tea for relieving fatigue, but recent studies show (as examined in rats) this might have an adverse result on pregnant women or who are soon to conceive. Lactating mothers should also seek medical advice prior to consuming this tea. You will get jujube tea bags and tea powder in both local and online stores.